I applied sweet almond oil to my scalp to help with the dryness from the week. To prep my hair for washing and heat styling, I decided to use the ORS Hair Mayonnaise as a light protein treatment on hair that had been lightly moistened with a spray bottle. I then added a light coating of sweet almond oil over the conditioner, put on a plastic cap and put on my heating cap for about 30 mins. I shampooed twice with the L'oreal Everpure Sulfate-Free shampoo (diluted with water in an applicator bottle for easier application). After rinsing, I used Aussie Moist conditioner and let it sit with a plastic cap over it for the remainder of my shower. I then rinsed and detangled my hair under cool water and did a final cold rinse. I then t-shirt dried for 30-45 minutes. After t-shirt drying, I applied my leave-ins (silicon mix bambu and organix argan oil of morocco weightless healing dry oil) in 4 sections to detangle. After that was completed, I began blow drying using the Conair Yellow Bird blow dryer on cool air for the length, and warm air to dry the roots. Before drying my ends, I applied a bit more of the silicon mix bambu. After each section was dried, it was pinned away and I spritzed some of the organix spray oil on the section. Yay! So I was quite pleased by the final results. I haven't clipped my ends since November, but from all of the bad winter weather protective styling they've been doing quite well! I did a lot of trimming and cutting last year to get my ends together, and it seems to have gone well. 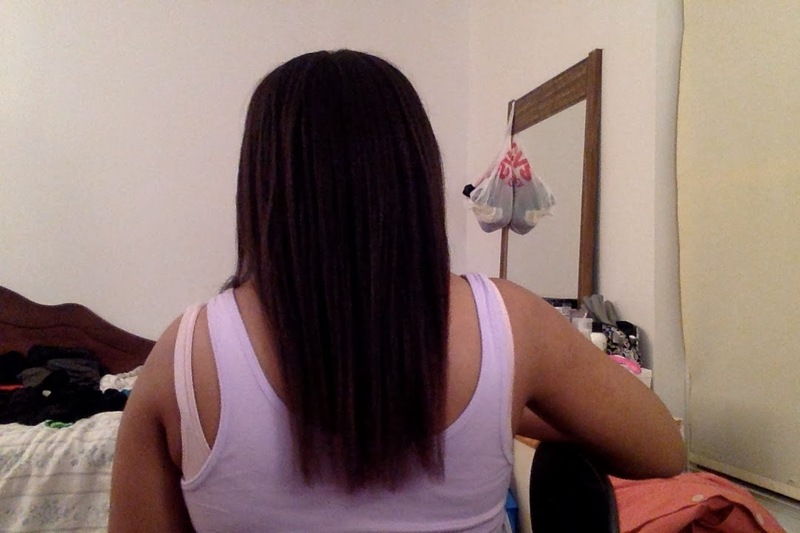 The last pic im showing my bra strap, so i believe as of right now I am grazing bra-strap length! 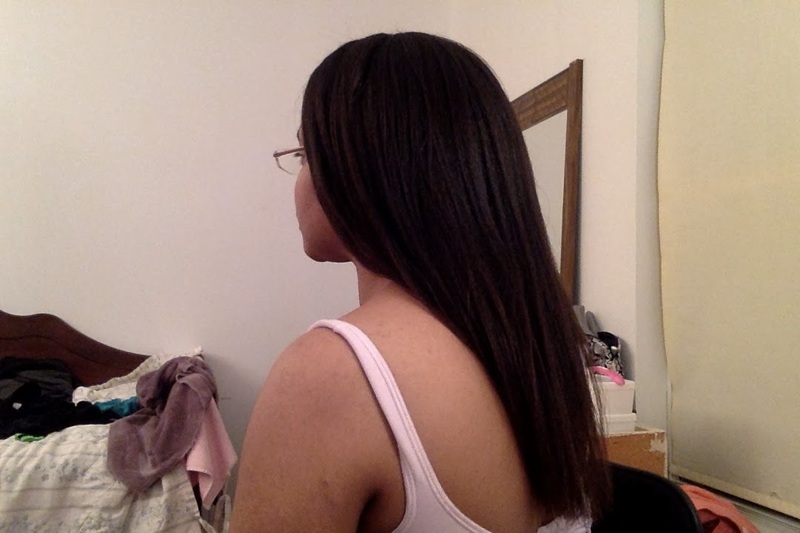 Fingers crossed for reaching bsl by my next relaxer (if the weather stays this bad I should be good, lol). 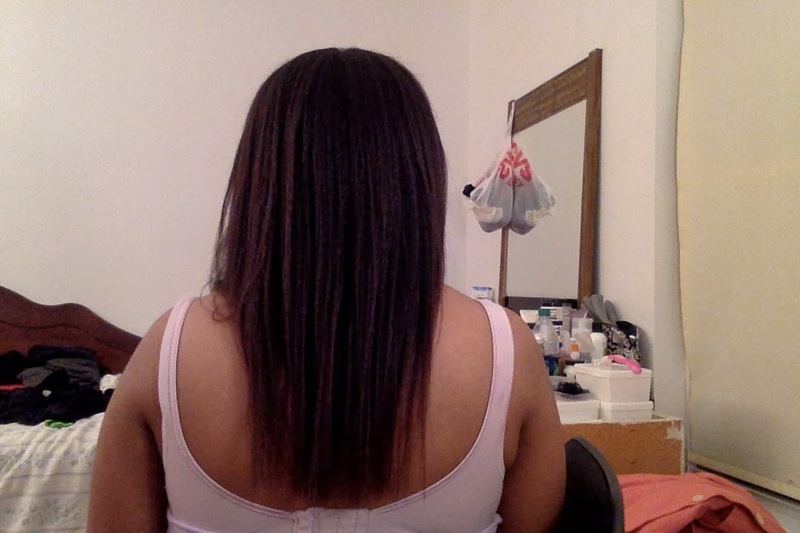 wow, three months since your last trim and your ends still look healthy! Your ends look superb and healthy. Luv the thickness too! WOOT! Welcome back. We totally missed you chica! Your hair looks great ! My hair was thinning a lot after winter. In order to make it stronger, I revised my nutrition. 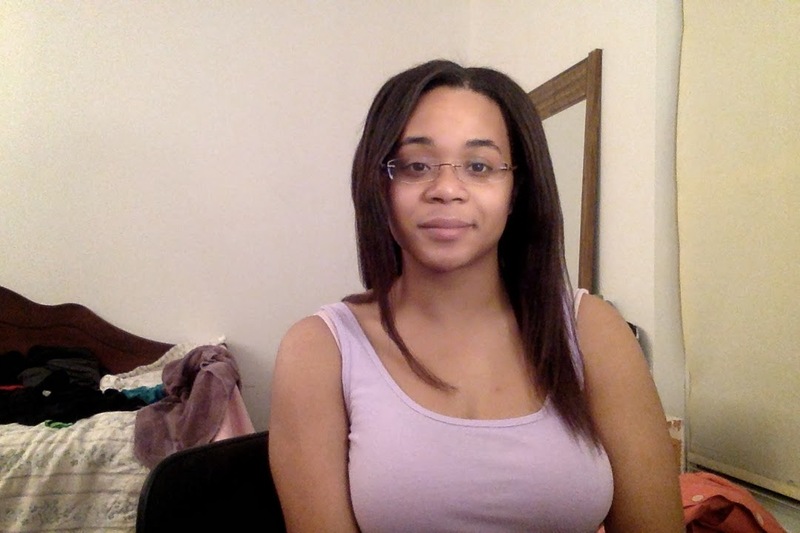 The basic elements for healthy hair growth should be provided from inside out. Besides, I also started taking nutritional supplement Hair Gain Formula by Military Grade in order to support my hair and fight seasonal hair loss. This product contains unique herbal compounds, which make it effective and safe to take. This product is the only nutraceutical which possesses prostaglandin D2 blocking properties. In 6 months my hair has become visibly thicker, and I don't suffer from hair loss as much as I used to.